Christmas time is here! I'm so excited! I love decorating for Christmas. It's rare that you'll find me decorating with the traditional red and green colors of the season. 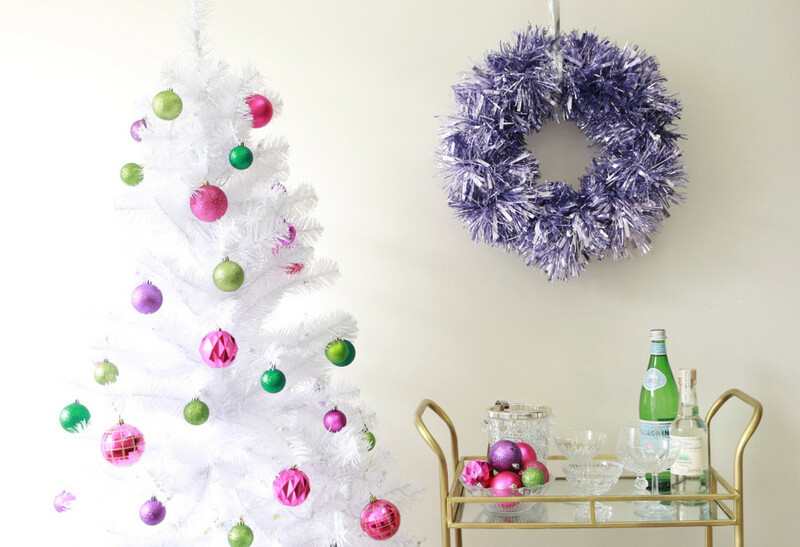 I'd much rather prefer decking the halls with metallic pinks and purples. I often find myself having to craft Christmas decor pieces (duhhhh! less "having" and more like wanting!) 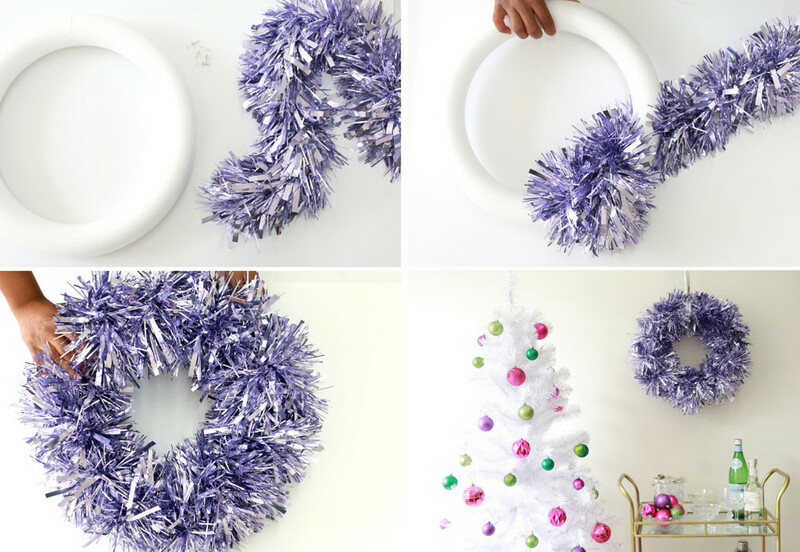 and this easy DIY wreath is one of my favorites. 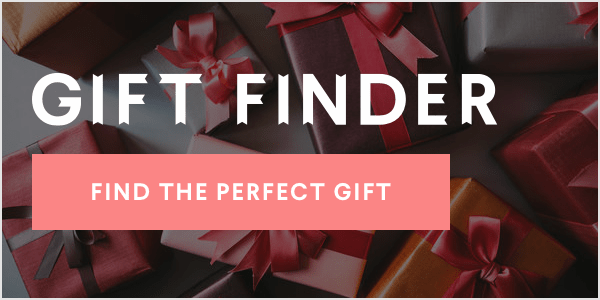 There are so many pretty garland options out there and turning a pretty metallic garland into a glamorous wreath is as easy as they come. Plus, if you're dollar store is hooked up with great Christmas and craft supplies, this is a cheap and chic hashtag dollar store decor project! Wrap your garland around your wreath form using. Use your push pins to secure your garland in place. If needed, use a piece of ribbon to hang. As promised, this project is soooooo simple and easy but I love being able to customize my home with wreaths that match my decor perfectly! I'd love to hear how you decorate for the Holidays. Drop me a note in the comment section and let me know the colors and your overall theme.